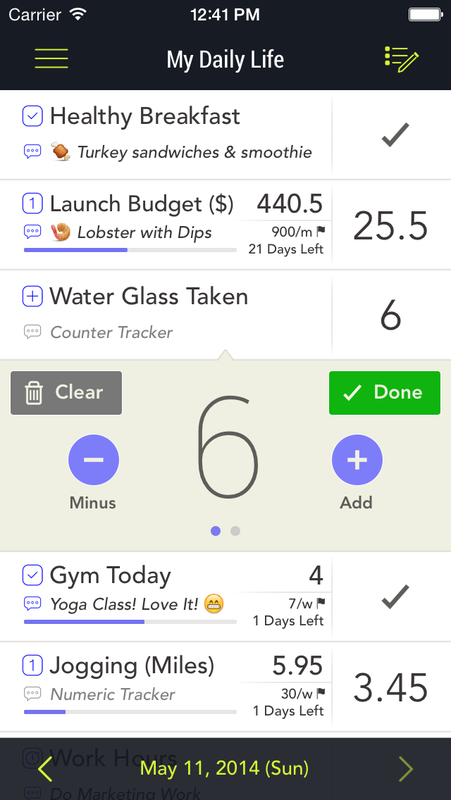 Daily Tracker is a fantastic tool for tracking your daily goals and habits. You can track literally everything. Set your goal target and achieve it. See your progress in various ways. This is the only one app that do them all. Don’t be afraid of losing your historical data, it will be kept in the logbook view. Forget to track your progress! Let’s daily reminder to remind you. Set your goal target. The powerful way to achieve your goal. 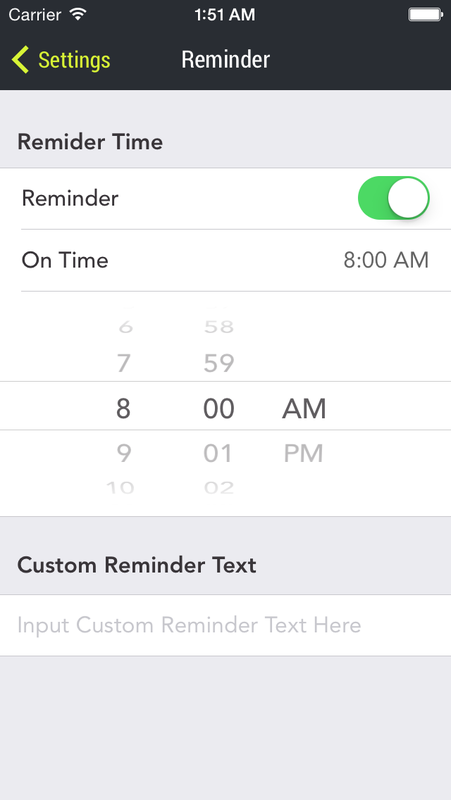 Stay tune for more new features like assigning tracker patterns and streaks mode, etc. 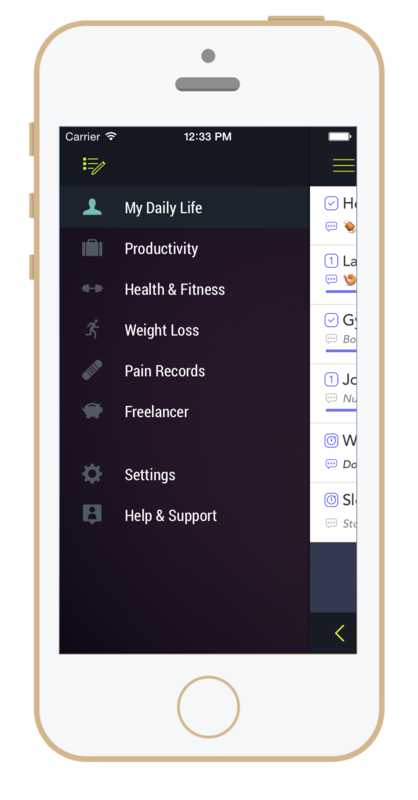 You can track many kinds of data in Daily Tracker; so you can track from your weight, your sleep hours, your daily intake of water, or your daily workout which you don’t want to miss it. 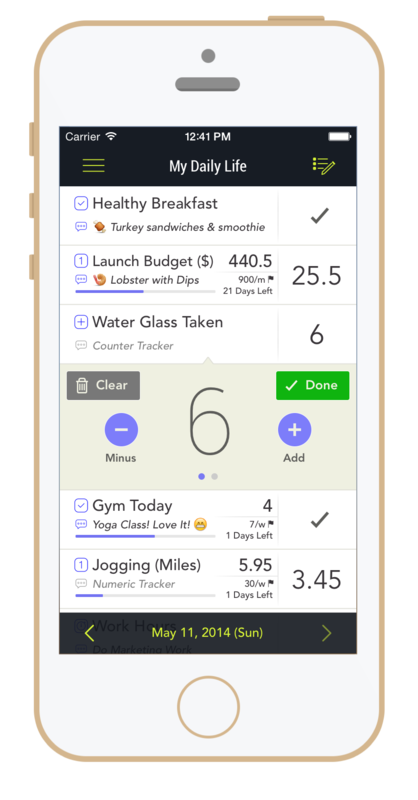 With Daily Tracker, you won’t need another individual apps for each of these things. 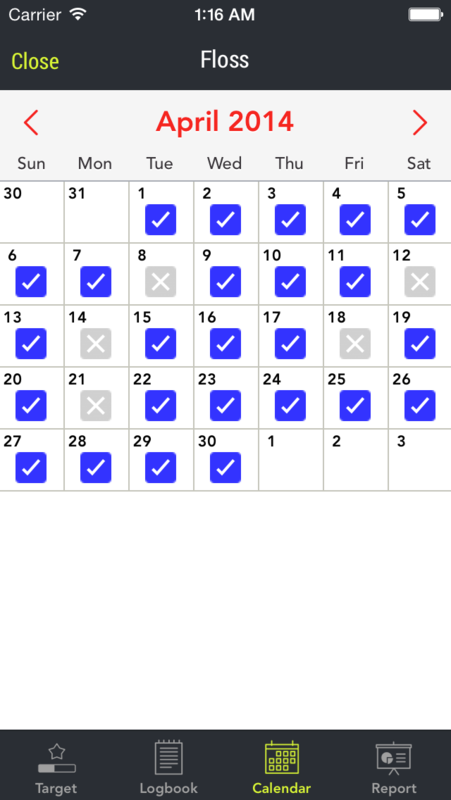 Only Daily Tracker can manage them all. 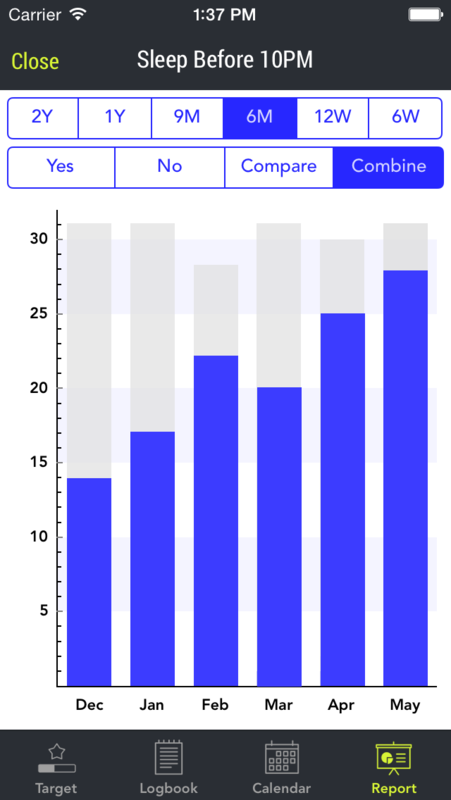 Daily Tracker has three types of view for different ways to represent your development progress. 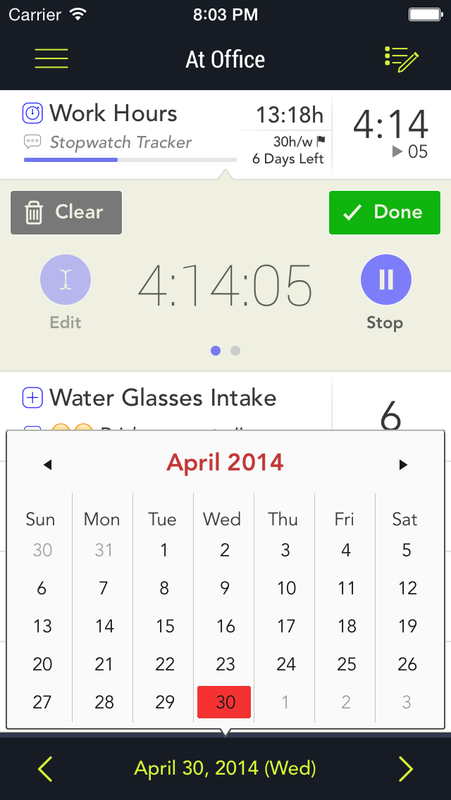 Calendar View visualizes your data in the form of calendar which you are able to keep track of your progress by time. 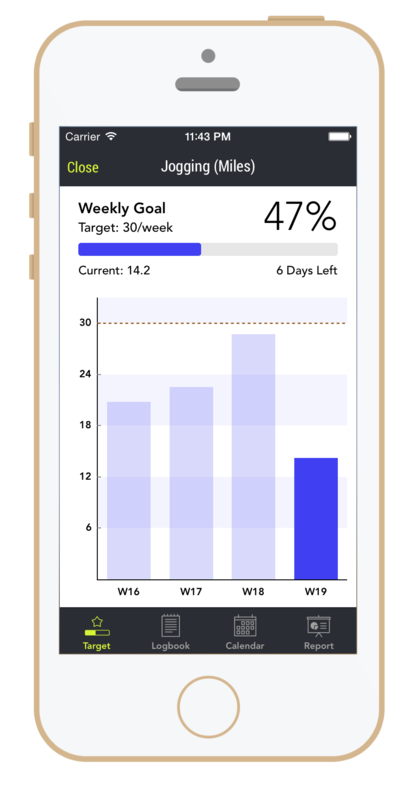 Logbook View displays your historical data of your progress and Report View provides you to see your development progress in powerful chart. 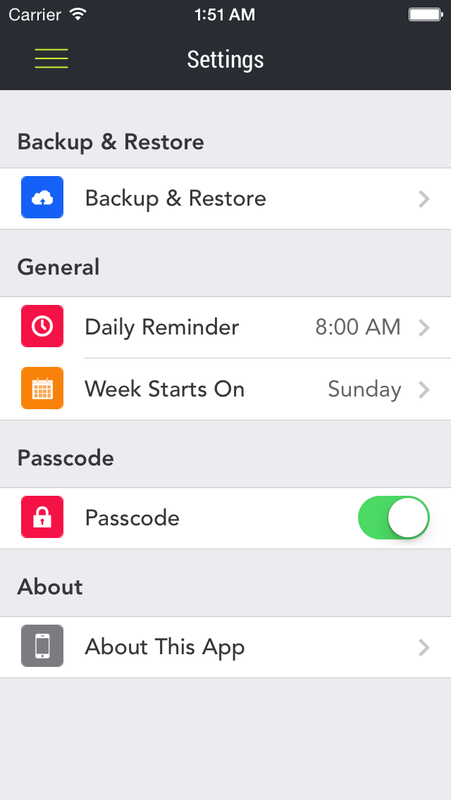 Besides of tracking and visualizing your data, Daily Tracker has more other powerful features; classify your tracking data in separate group depending on your needs, prevent losing your data with cloud backup, secure your personal information with passcode lock, reminder and more promising features to come. First I have zero affiliation with the app or it’s programmers. 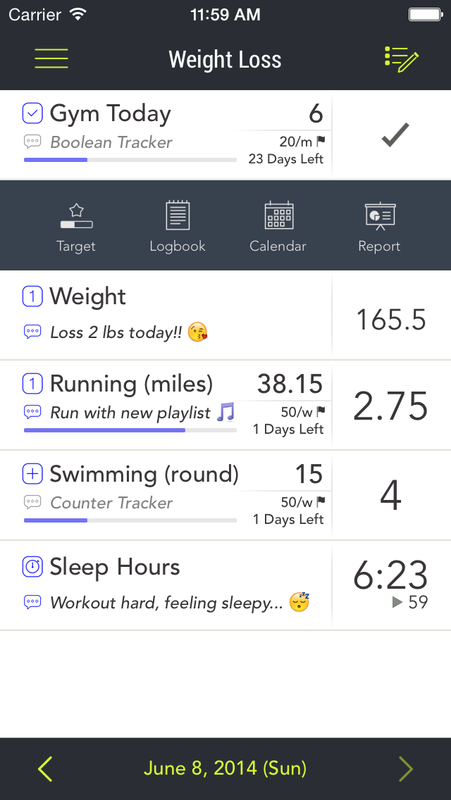 I’ve had at least a dozen of these types of habit tracking apps. This one is hands down the cleanest. It’s simple but not to simple, not over done. All in all a great app. Thanks! After trying many different habit tracking apps. I was always left a bit wanting. I found this app, and don’t think I’ll be looking any more! 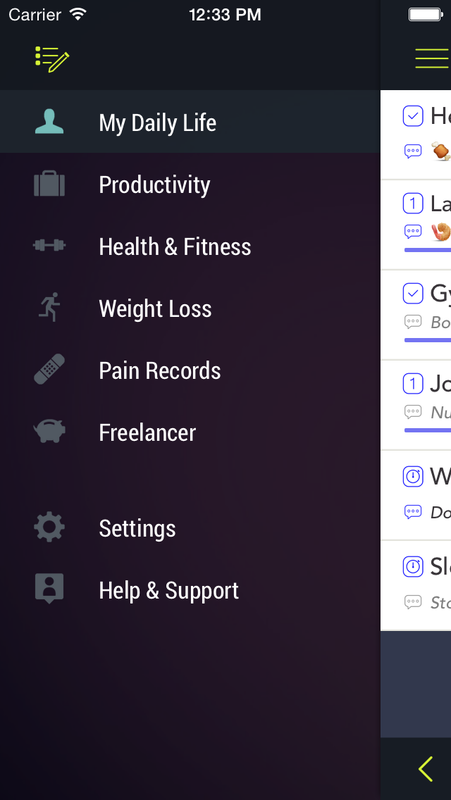 The app allows tracking and reporting in many customisable ways, with more apparently on the way. The app also have a very clean interface and is well suited for iOS7. I’m looking forward to using this on a daily basis. I purchased about 10 apps and found that each one had some issue I didn’t like. This one has been outstanding. Very easy to use. 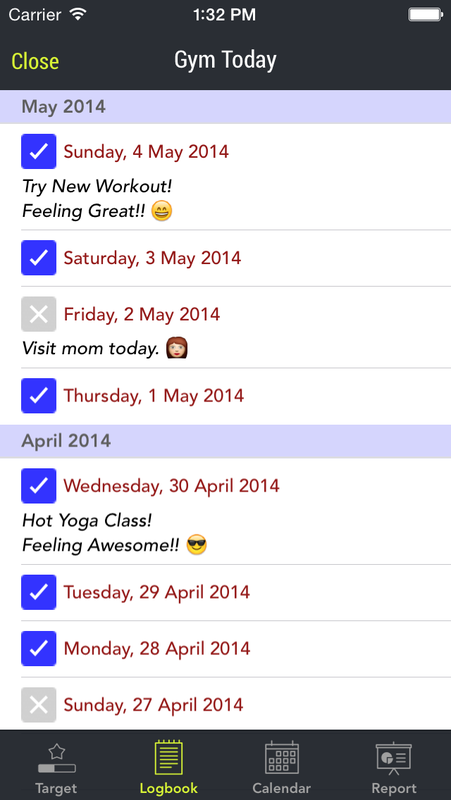 In particular, this app has a useful report feature that allows me to see progress over time. I have now done push-ups 19 days in a row and being able to see my daily total trend upward on the graph has provided a lot of motivation. Great job on the app. 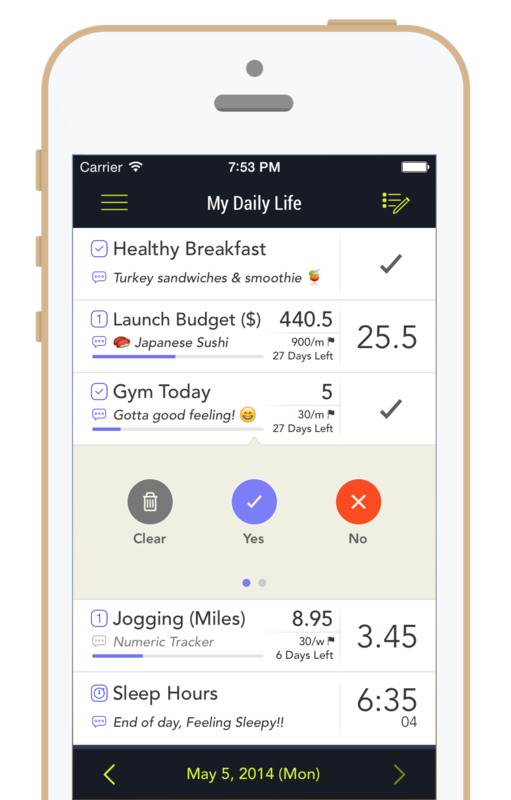 I have compared lots of habit tracking app. I should say this one is the best one. These is no restriction on using this app. Keep on doing this. Well done guys.